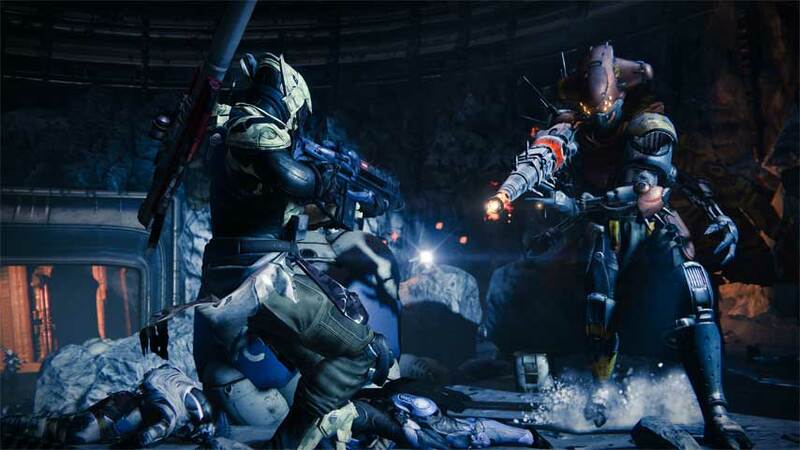 Destiny: House of Wolves presents a more cohesive storyline, and a more agile and fluid style of PvE gunplay. Let’s hunt pirates. Destiny: House of Wolves kicks off with a dramatic cutscene in which Petra Venj, of the Awoken Queen’s Royal Guard, calls for Guardians to fulfil the Queen’s bounties. The state of the world is explained clearly and succinctly in those opening moments, unlike The Dark Below’s somewhat ambiguous opening. “The Reef is now open to you,” Petra Venj says, in stirring accents. I am a tragic fan, and I got a little shiver up my spine. Just as The Dark Below taught us a great deal about the Hive and the failed Raid on Crota (if, that is, you elected to go fishing for this information), House of Wolves will tell us more about the mysterious, super-human Awoken and the once-great Fallen. I can’t wait. I have to, though: I went to visit Bungie to see House of Wolves, and the developer wouldn’t let me play the five new story missions, or even tell me where they take place besides “all over the place”, with significantly more new playable environment added to Destiny than with The Dark Below. Bungie wants you to feel like you’re exploring a cohesive theme. Through the quests, bounties, themed equipment and interactions with Petra Venj and Variks, you’ll constantly be encouraged to explore the role of a bounty hunter on the trail of pirates. Still, in a round table Q&A after I’d finished giving everything else a bash, Bungie did tell me that House of Wolves represents an “evolution” of the narrative mode introduced in The Dark Below. Eris Morn guided you through the story of defeating Crota, but two NPCs – the afore-mentioned Petra Venj the Queen’s Emissary and Variks, a Fallen of the House of Judgment – will tell the single, cohesive story of House of Wolves. 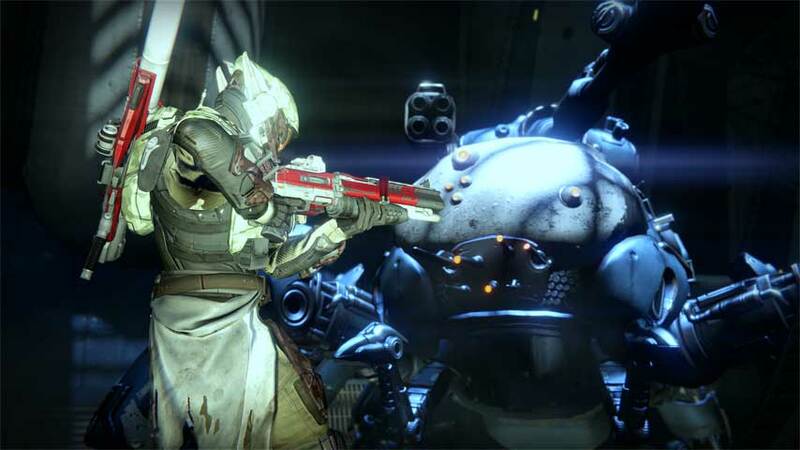 Their differing perspectives will reveal more about the Awoken and Fallen respectively. The story itself is one of treasure hunting and tracking down criminals, as you deal with the fallout of a betrayal and jail break. As you complete quests and story missions, you’ll also have the chance to take out bounties on specific enemies, in keeping with this theme. Ghost has no new dialogue in House of Wolves, which isn’t hugely surprising given he had all of one new line in The Dark Below. Bungie told me that it has chosen to tell the story through Petra Venj this time. Just as an aside, I can’t stop reading her name as “pet revenge”. And now you can’t either. Story content in House of Wolves is divided into two categories. Quests work similarly to how they did in The Dark Below; they take you out into the world to do missions, and present the backbone of the plot of the expansion, which is chasing down a Fallen fugitive named Skolas. The second category is bounties for wanted Fallen. As you explore Destinations post-House of Wolves release you’ll meet named named Fallen enemies, and Petra Venj offers bounties on these specific baddies. 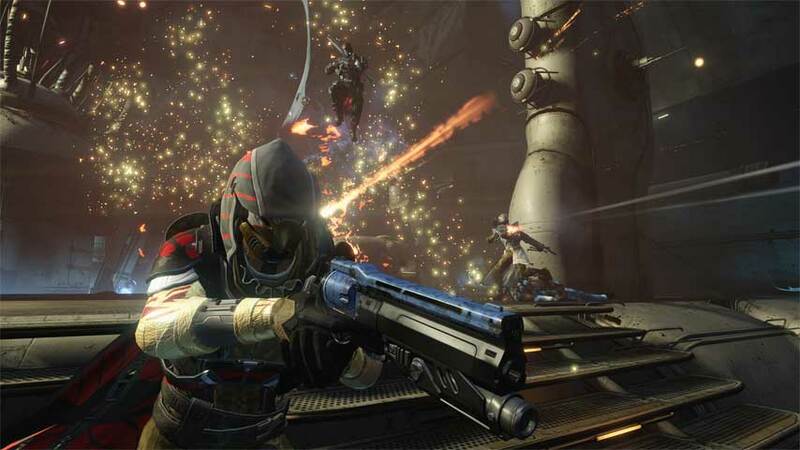 Some of these baddies will be “pretty tough”, Bungie said, and the idea behind the bounties is let players live out the fantasy of tracking down dangerous targets in exchange for lots of loot. For those who took Queen’s bounties in the past, well – there will be some acknowledgement of that effort, Bungie said, but declined to tell me more. “It will be very obvious,” I was told, enigmatically. Throughout this experience, Bungie wants you to feel like you’re exploring a cohesive theme. Through the quests, bounties, themed equipment and interactions with Petra Venj and Variks (who can, of course, speak the Fallen language, and will explain snippets for you), you’ll constantly be encouraged to explore the role of a bounty hunter on the trail of pirates. The new Strike, The Shadow Thief, is a great example of the focus of the whole expansion, in that it pits you against a single formidable target. It kicks off in a familiar area on the Moon, but instead of heading deeper into the Hive fortress you take a left through an unexpected door leading to a Fallen Ketch. Here, you encounter waves of enemies led by Taniks the Scarred, a Fallen foe. About the same size as the Archon Priest, he has a unique design rather than just looking like a souped up Captain. He uses a weapon called the Scorch Cannon which I soon learned to respect (and which you can try for yourself in Prison of Elders), but he soon made for the exit under our assault, having come to respect my headshots. Taniks issued a challenge to follow him through the transporter, translated by Variks. It’s kind of cool to encounter this baddy in the open and then pursue him deep into Fallen-controlled territory, aware all the time that he’s luring you towards a trap. It feels like an evolution on The Dark Below’s use of Omnigul to motivate you to advance, but rather than just showing up the end to mount a token defence, Taniks will face you in real battle as you go. Following Taniks into the ship via a teleporter, you’ll run into a sealed room filled where you’ll have to face waves of Fallen and a Walker tank from the House of Wolves. 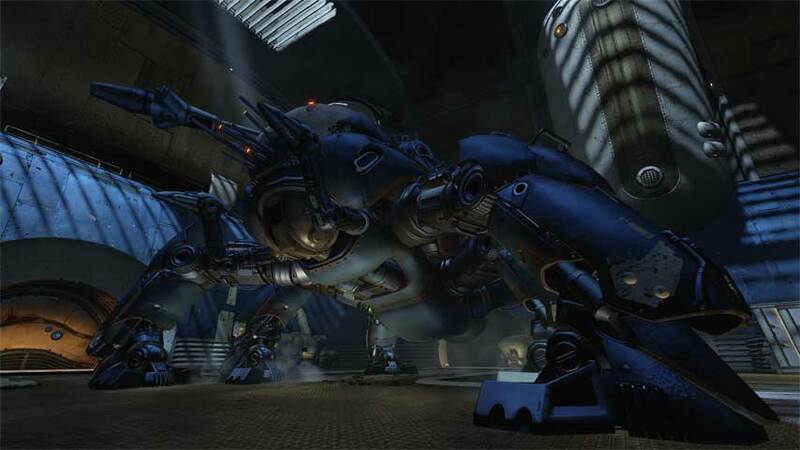 In my mind, no boss enemy has ever been as much fun as the Walker tanks; taking them apart piece by piece (did you know you can shoot off some of their weapons? Did you notice they can’t move well depending on which legs you take out?) is a joy. Still, we’ve become pretty inured to the two you find in vanilla Destiny, so I didn’t expect this one to mount much of a defence – but holy hell, a tank at close quarters is a whole different ball game to a tank in a wide open space. No boss enemy has ever been as much fun as the Walker tanks, but holy hell, a tank at close quarters is a whole different ball game to a tank in a wide open space. Thankfully, the add spawns in this room are very nicely timed to allow you to get in some decent damage between frantic self defence, and it’s very easy to set up – if not maintain – a good triangle and crossfire zone thanks to various structures and side tunnels. Once the Walker went down, we launched ourselves through the corridors ahead, and I nearly had an accident when Taniks suddenly popped up as I was knifing a few Dreg in the face. The throaty Fallen leader cat-and-moused us through twists and turns until we reached the final boss arena. Again, you can feel lessons from the unpopularity of past Strikes here, especially The Will of Crota. You won’t be huddling in one room, staring at the walls as you duck out between waves of adds to get your shots in; the Taniks arena is wide open, with little cover, and you need to be mobile, hopping around the platforms around the circumference or the central structures, to stay out of range of Taniks and his adds. Spawns come from all directions, and Taniks has an alarmingly long-distance teleport at his command. A well co-ordinated team can keep him guessing, though, and with the lakc of proper cover, it feels like the boss encounter is a master class in playing a more agile, daring version of Destiny. I have nothing but good things to say about this Strike, which has also clearly benefited from recent learnings about difficulty and length: it’s punchy, and full of things to punch. This one won’t go down beside Cerberus Vae III, The Will of Crota and Dust Palace as a drawn-out, unrewarding slog, but as an opportunity for skilled players to show off just how well they work as a team. Having played the Strike, I’m pretty excited to see the story missions and check out the bounties. I hope, with some evidence to back up my optimism, that House of Wolves will encourage a different way of playing than The dark Below favoured. 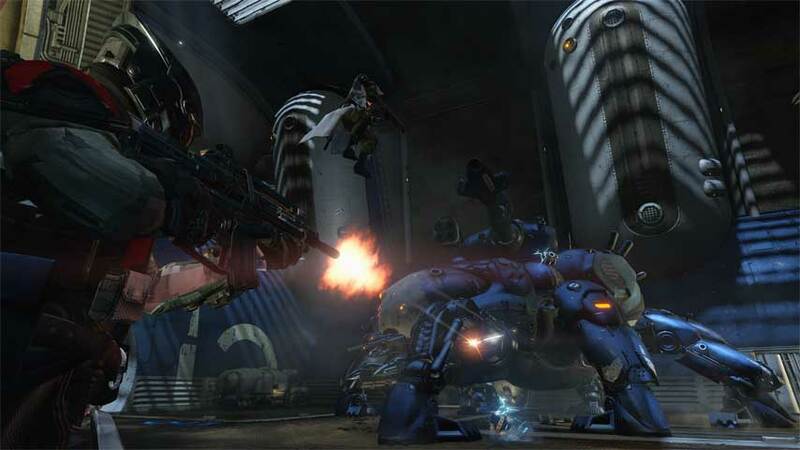 The Fallen are a very different enemy to the Hive, and House of Wolves seems to reflect that, taking us out of dark corridors and into bright, open spaces where mobility and distance game are paramount. Brenna Hillier recently visited Bungie’s studio in Seattle to preview House of Wolves. Activision provided flights, accommodation and hospitality.